This site will accept worthy historical or heritage contributions that if not edited for accuracy, authorship must be appended. This Photo celebrates its Centennial as taken in 1907. 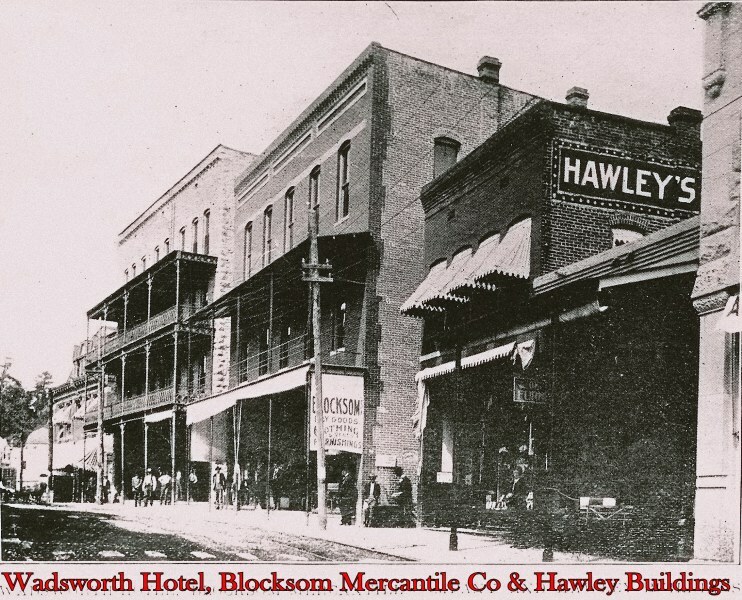 The Wadsworth Hotel is the current New Orleans Hotel. Barb Gavron noted that the cement blocks seen at bottom left were used as a means of crossing to the other side. The stepping stones were spaced to allow carriage wheels to pass through.